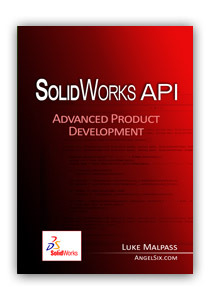 SOLIDWORKS 2015 has finally come out of beta and SOLIDWORKS 2015 PR1 has been released. There are lot of sweet candies to enjoy with. 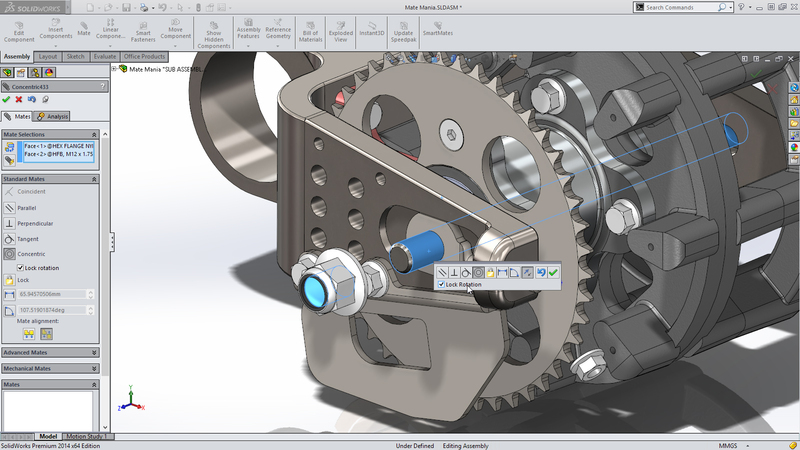 SOLIDWORKS 2015 includes many enhancements and improvements, most in direct response to customer requests. P.S. 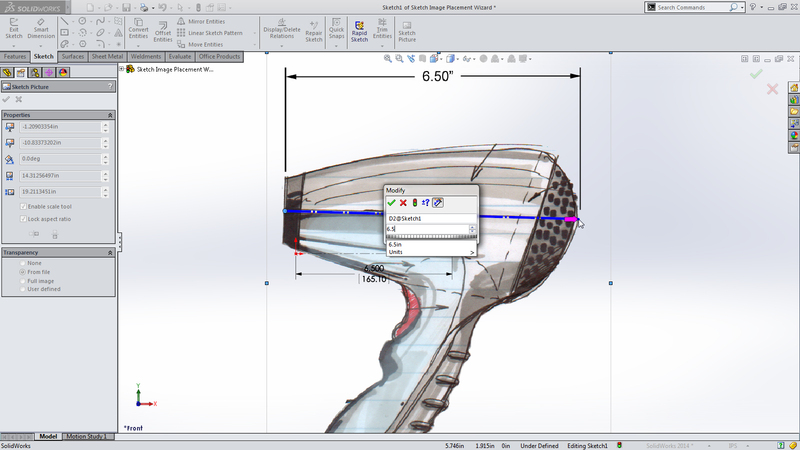 The new enhancements listed above will depend on the release of SOLIDWORKS 2015 SP 0 and may change. 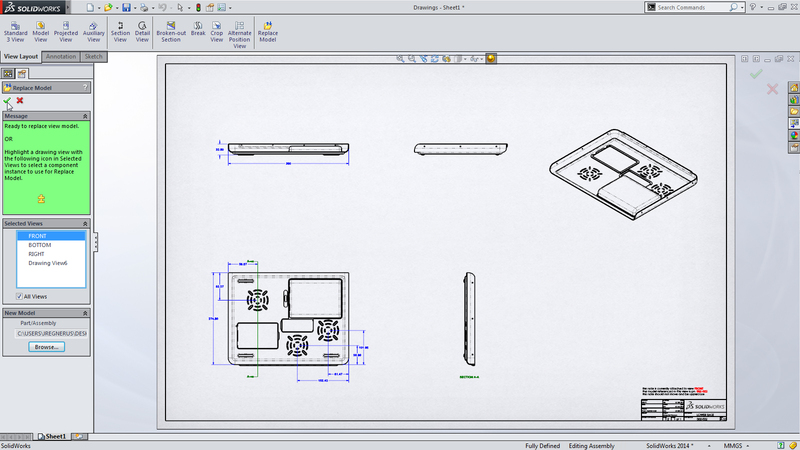 This entry was posted in General, Let's Go Design, My.SolidWorks, News, Solidworks, SW2015, What's New and tagged Enhancements, New Features, Sneak Peek, solidworks, SolidWorks 2015, What's New on September 9, 2014 by Deepak Gupta. SolidWorks 2014 now eliminates this problem with a new System Option to optimize hidden line removal for thin parts. This provides clearer visual feedback on the geometry and the exterior components. 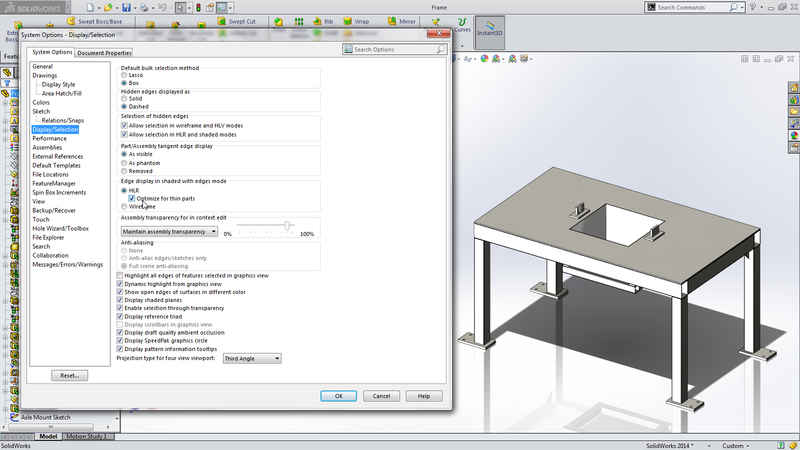 It also allows for more stunning screen captures directly from SolidWorks. You can now easily replace the model references in any drawing view using Replace Model View. This streamlined approach to changing document references not only reduces the needed steps, but can also prevent drawings referencing the wrong part or assembly. This tool also makes creating a drawing similar to an existing one, but referencing a different document incredibly simple and significantly faster. SolidWorks 2014 introduces a new option that allows you to optionally lock rotation when adding cylindrical mates. This lock rotation eliminates the step of adding an extra mate to fully define components that are constraints with cylindrical mates which is ideal for components such as fasteners and bearings. 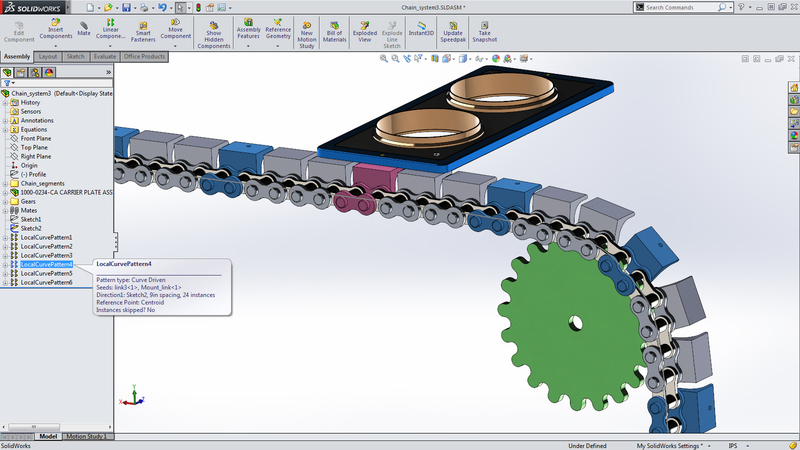 Assemblies now offer the same patterning capabilities available at the part level, with sketch and curve-driven options added in SolidWorks 2014. One key feature is curve-driven patterns. It’s now possible to pattern components or subassemblies along curves in an assembly. This makes creation of patterns, such chains and conveyor systems, faster and easier than ever before. 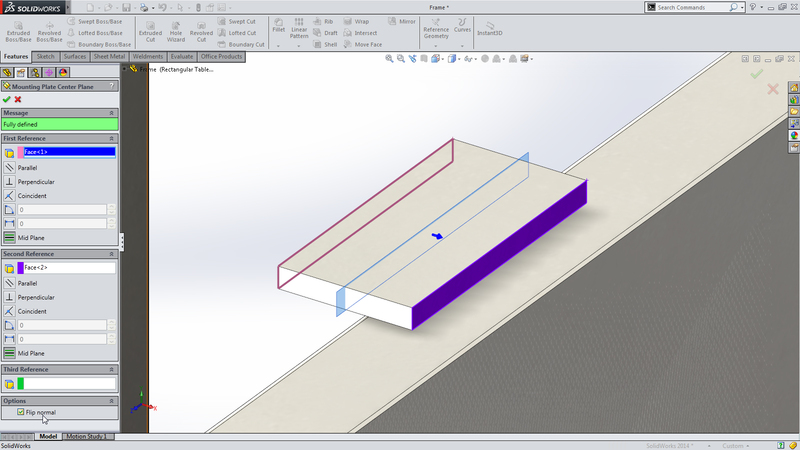 When creating or editing planes in SolidWorks, you will now have the opportunity to specify the direction of the plane’s “normal.” This setting controls the orientation of any other feature or sketch created using this plane. Control over this new capability is a simple checkbox found in the Property Manager for a Reference Plane. The Path Length Dimension is an entirely new dimension available in sketches. It allows the creation of a path in a sketch to define the exact length of an item like a chain or belt. 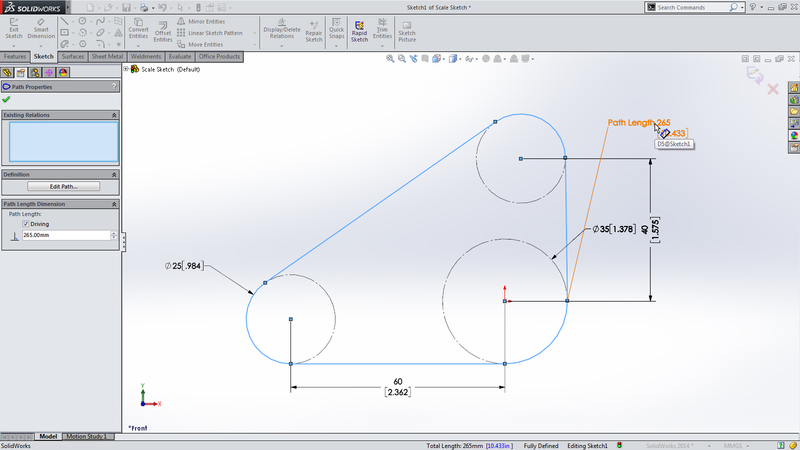 Like all dimensions in SolidWorks, its value can be parametrically controlled in a variety of ways including equations. The Sketch Picture Scale Tool makes it easy to properly scale the size and position of images inserted into a sketch, saving significant amounts of time and frustration. This new tool allows users to make use of known reference points in the image, which often provide an understanding of size. Using these known points, users simply enter the corresponding value–the image resizes accordingly. Likewise, rotation of the image is provided within the same tool, to capture proper orientation of the sketch. With this new release, SolidWorks Subscription Services customers can share the load of rendering animation frames with PhotoView 360. You’re now able to render frames in parallel across multiple computers on your network. The time needed to create photo-realistic animations of designs and mechanisms is drastically reduced with this powerful capability. • Get access to the Mesh Display, Deformed Result, Probe, Section Clipping, Iso Clipping, List Selected, and Fringe Options of the plot by right-clicking in the plot legend on the graphics screen. 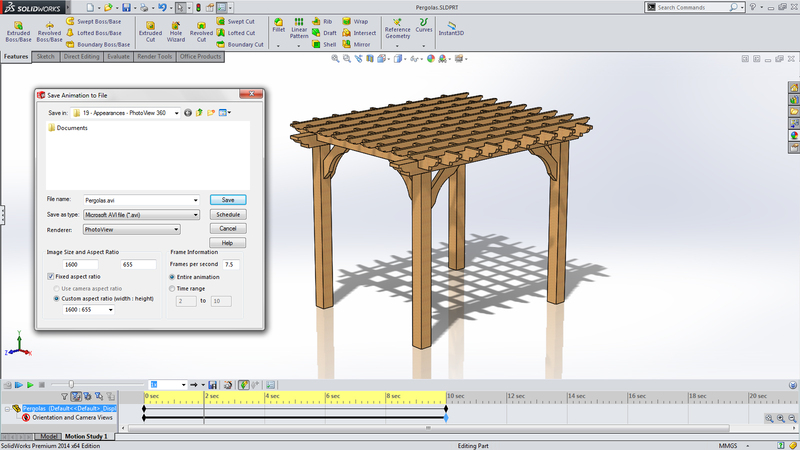 This entry was posted in Events, General, News, Solidworks, SW2014, SWW, SWW14, What's New and tagged Assemblies, drawings, Enhancements, Model View, New Features, Parts, Simulation, SolidWorks 2014, SolidWorks 2014 launch, SWW, SWW14, What's New on September 7, 2013 by Deepak Gupta. – Login to the customer portal. – Drag, Drop, have fun!! Here is a quick preview of the rendering. You might have to adjust size of model and/or other rendering settings to get the desired results. This entry was posted in General, Luxology, Modo. Rendering, News, PhotoView 360, Solidworks, SW2013, What's New and tagged Assets, Material, Modo, New Features, PV360, Rendering, Rendering Material, SolidWorks 2013, SWW13, Using Modo Material, What's New on October 19, 2012 by Deepak Gupta. With SolidWorks 2013, you now get the option to quickly filter the type of SolidWorks file (part, assembly or drawing) you want to open. This helps you quickly pick the file you to want. 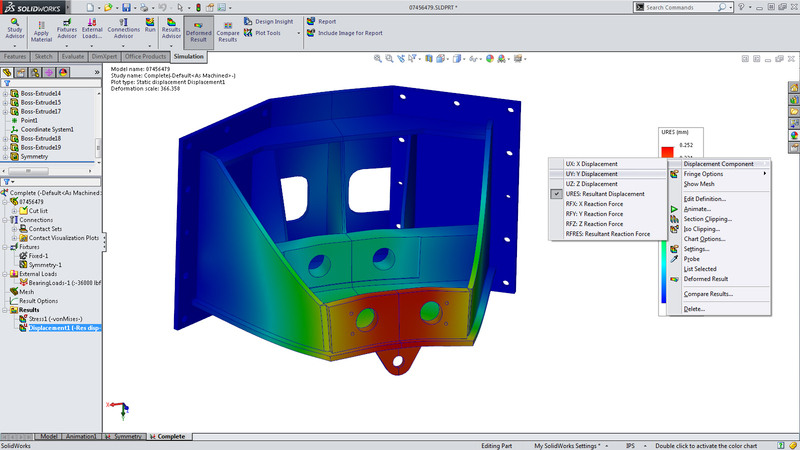 You can filter between Parts, Assemblies, Drawings or Top level assemblies. 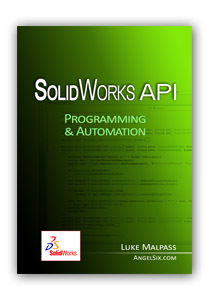 Choose the file type and enjoy working with SolidWorks. Need more on what’s new in SolidWorks 2013, visit new SolidWorks 2013 website to see all the major updates. This entry was posted in General, Solidworks, SW2013, What's New and tagged New Features, Quick Filter, SWW, SWW13, What's New on October 2, 2012 by Deepak Gupta.